I have always been a fan of the industrial light look and decided to start there. 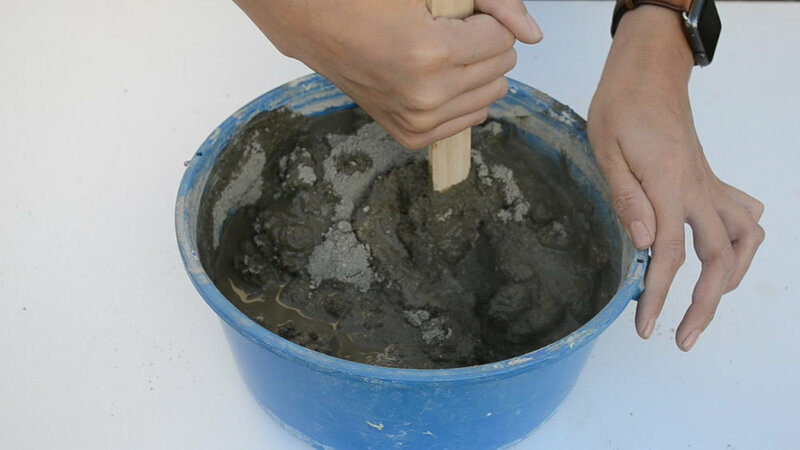 I had a hard time finding the right concrete at The Home Depot. I didn’t want a 60 lb bag and I noticed all the concrete they had was rough and had gravel in it, but maybe I was looking in the wrong area. 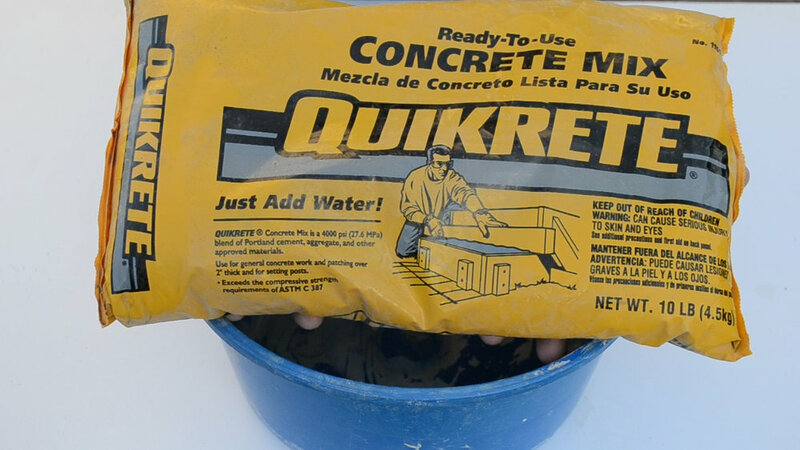 I ended up finding this Quikrete concrete mix at OSH Hardware. The texture was exactly what I wanted, soft and smooth. My store even had a 10 lb bag which was easy to carry out. 1. 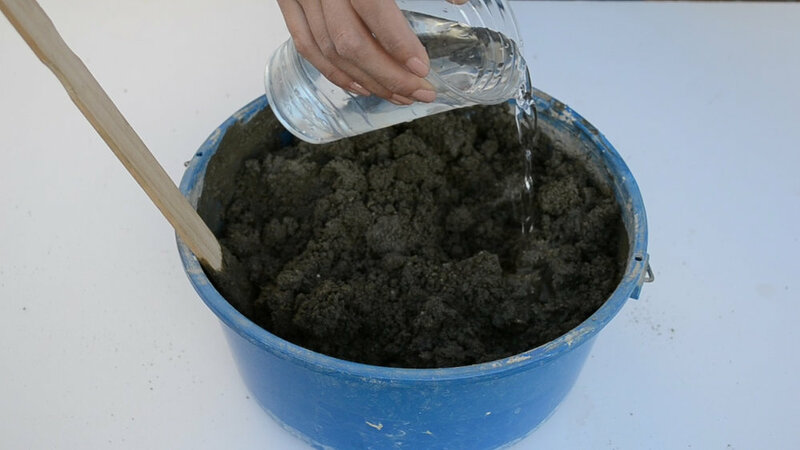 Pour concrete mix and add water according to the instructions on the bag. 1. I felt the mix was still too dry when I followed the instructions, so I added a little more water as I went until I got the consistency I desired. 1. 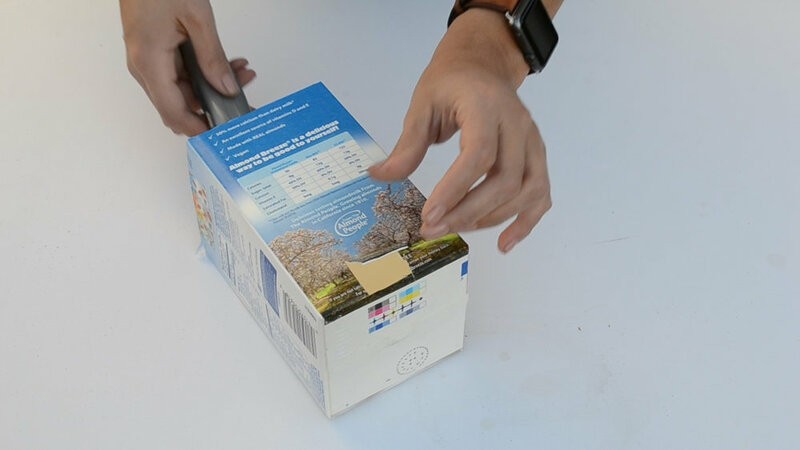 Cut the top off the milk carton with the xacto knife. 4. Tape the cord in place. 5. Pour the concrete into the carton being careful not to get any concrete in the light bulb outlet. (I probably should have put some paper or tape inside to protect it). 6. 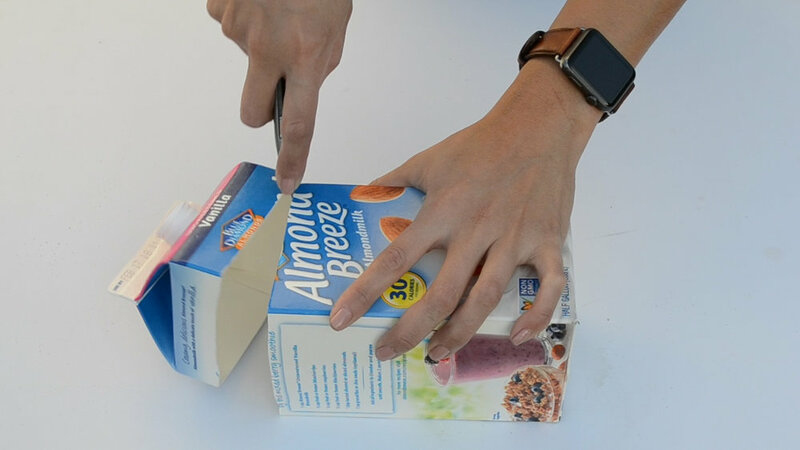 Continue pouring and shaking the carton every once in a while to get out some of the bubbles. I wanted my lamp to have a slight bubble texture, so I wasn’t too heavy on the shaking. 7. Let dry for about 24 hrs. 9. Sand the top if needed. 1. I placed the small planter inside the large planter and then poured concrete in through the sides. 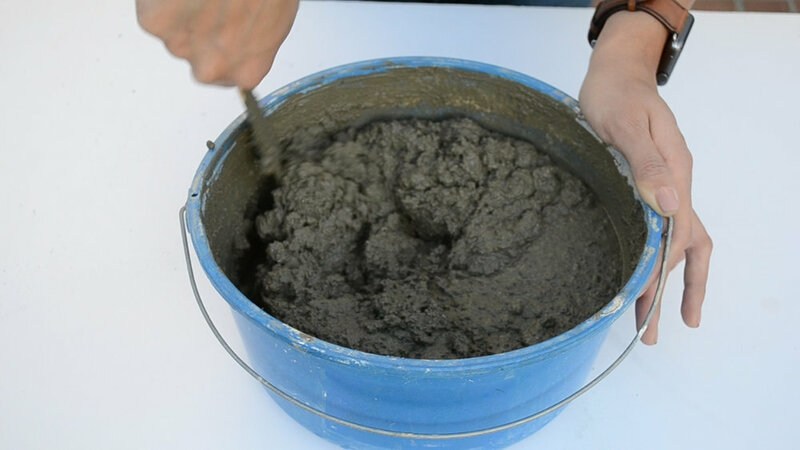 - I think next time I will just pour in concrete and push the small planter into the large one. 2. Shake it out a bit. 3. Put something heavy inside the planter to weigh it down. 4. Let dry for about 24 hrs. 6. The smaller planter is harder to come out. You’ll need some strength to shimmy it out. Check out the video for further instructions.